After completing a successful pilot program in 2018, the nonprofit Foundation and a host of key partners are giving new boaters, as well as current boat owners, the confidence, skills, and much-needed practice behind the wheel with the official launch of the BoatUS Foundation On-Water Training Program. 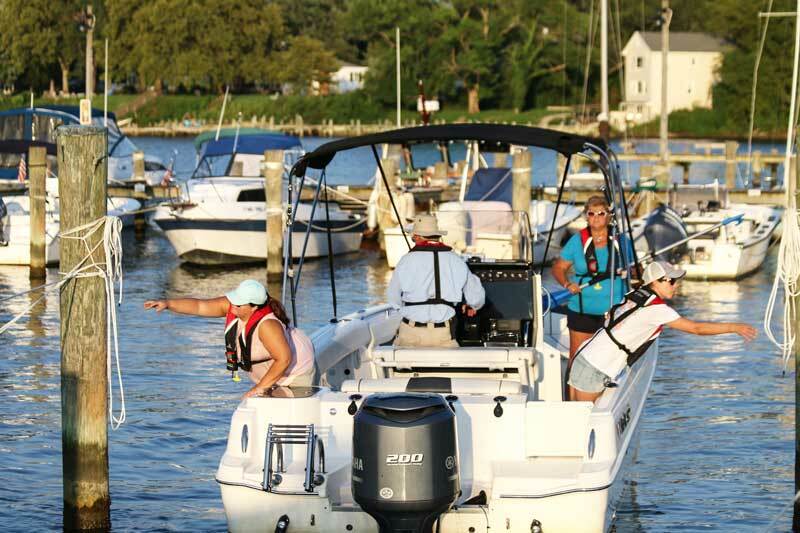 It offers a range of up to five, specially designed courses at 40 locations across the country in 2019, held in conjunction with local boat shows or as stand-alone weekend events at clubs, marinas, and professional on-water training facilities. All five courses offer the opportunity to learn centering the wheel, shifting, steering and throttle control, stopping, station holding, understanding the 'weathervane' effect, and how to use “the boater’s eye” technique to safely navigate. Class sizes are limited to four students per vessel, ensuring each student gets sufficient time at the helm under the watchful eye of a U.S. Coast Guard-licensed captain. The remaining slate of courses will be rolled out throughout the year. Visit BoatUS.org/On-Water to sign up for any on-water training course from the BoatUS Foundation or search for upcoming courses in your area. If you have an organization that is interested in hosting training, send an email to [email protected].